The fitness bandwagon has taken America by storm. Gym routines, workout videos and home workout programs have been developed by industry experts (and those proclaiming themselves to be such). However, not all training regimens are complete in themselves. For a fitness training program to deliver results, it has to be a well-rounded routine. Basically, this means that the elements of cardiovascular fitness, stretching, muscular fitness, core stability and balance must be covered in whatever routine you engage in. If only one part of the program is prioritized, say cardiovascular fitness alone, you won’t be able to get the toned muscles you want. The key here, really, is to balance the components. Cardiovascular or endurance activity, also known as aerobic fitness, is the foundation of most fitness training regimens. By allowing you to breathe faster and more deeply, the amount of oxygen that circulates in your blood is maximized. This results in a more efficient circulatory system. Your heart rate increases as your blood vessels are able to transport oxygen throughout your body when you do such activities as walking, jogging and water aerobics. By exercising the large muscle groups for at least an hour a day throughout the week, heart rate is increased and cardiovascular fitness is enhanced. Another key element of a well-rounded fitness training program is muscular fitness. Bone and muscular strength is developed through a thrice weekly strength training program. If you are trying to lose weight, strength training keeps you from losing muscle mass as you shed away the fats through vigorous aerobic exercises. While a gym often has the widest array of resistance machines, free weights and other tools for strength training, it is still possible to do strength training without paying for expensive gym membership. Home-made weights, such as mineral water bottles filled with water or sand, has a similar effect. If you don’t like the idea of lifting weights, you can always do bodyweight exercises like push ups, squats and crunches to train your muscles. Stretching exercises give the needed balance to your muscles while improving the range of motion of your joints. Regular stretching exercises improve posture and relieve stress. Yoga and Pilates are great mind-body exercises that stretch and flex the body while centering the mind. Core stability is another element in a comprehensive fitness training routine. The muscles of your abdomen, lower back and pelvis must be strengthened to enable you to do upper and lower body movements without strain or injury. Abdominal crunches and workouts on a stability ball all develop the core. The final component of a complete fitness program is balance training. If you have poor balance, you are more prone to falls and fractures. Standing on a leg or engaging in tai chi exercises promote balance. If you want to engage in a training program that provides your body a complete workout, make sure that you incorporate all these elements into your routine. By doing exercises that focus on each of the aspects, you also prevent boredom on your part since you will be doing different sets of movements everyday. Proud father of three boys, bodyweight training enthusiast, and sports nutrition expert. 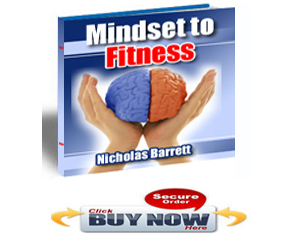 Be sure to read our shocking TACFIT Commando review and find out how this intense home fitness program from Scott Sonnon can get you really fit, really fast.